hello folkz, so good to be here ones again. 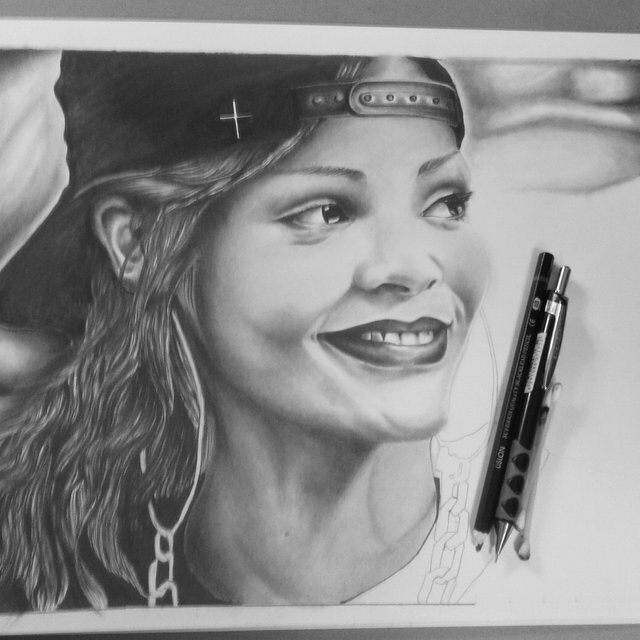 The drawing before us is a drawing i did of rihanna, she was born on the 20th of feb. 1988 she is a barbadian singer, business woman, actress and songwriter. Her net worth is around $260 million, she has won several awards such as American music award, Grammy award, MTV europe music award, billboard music award etc. The album that made her famous was music of the sun, as well as "A girl like me" Even up till date she's still one of the top female artist in america. Very very good bro! Congratulations! Very cool portrait artwork, @guchidan! 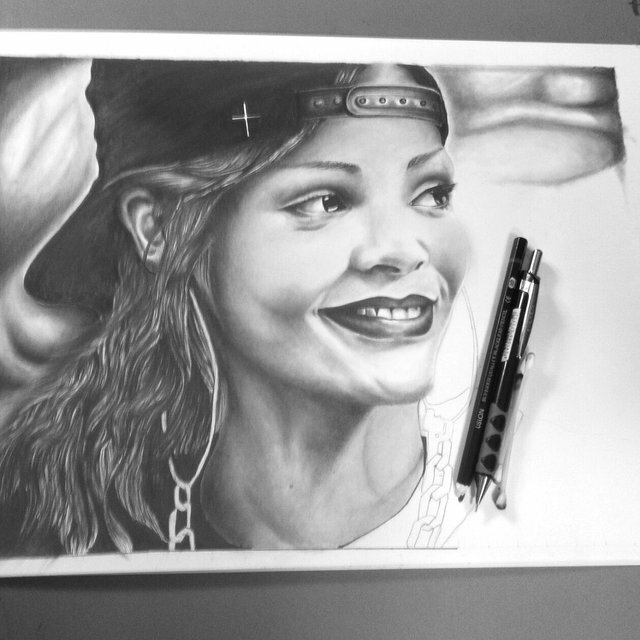 This is a photo of a younger Rihanna, isn't it? 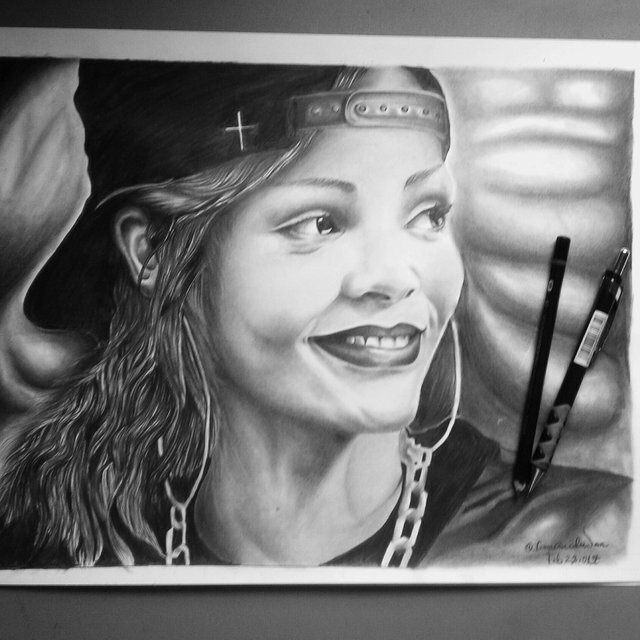 You captured the likeness of this beautiful musical icon very well :) Nice pencil portrait, @guchidan ! Hi! You are talented, it's great you are part of our community. 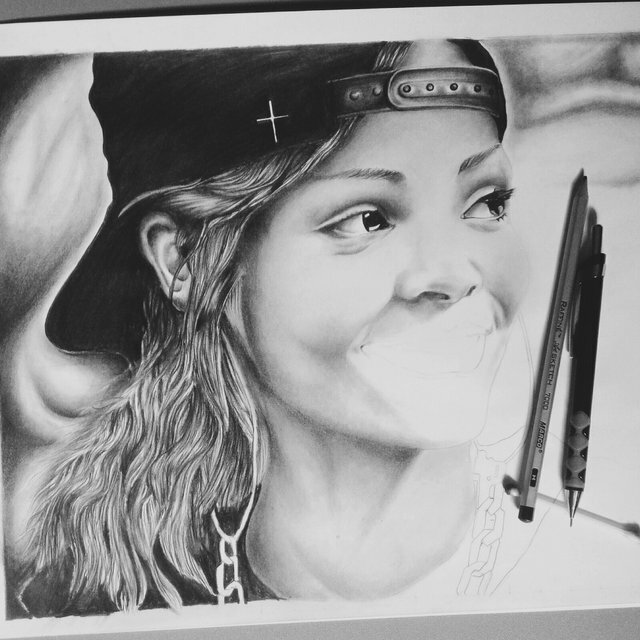 The drawing of Rihanna is very good! It is important you specify the source of original photo (link) in the description of your post. Please check the publication guidelines: Click here. Why is it important to specify the original photo with a link ??????? Thanks @wolfhart the whole team of PIFC are so supportive I'm happy to have met some of them...keep up the good work man. We are glad that you are also a part of pifc. Love the portrait @guchidan! She really is great! Hi @guchidan! 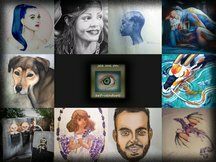 I liked your publication, it is a very nice work of art, with your permission I will take it to participate in the competition contest pay it forward is a wonderful contest that is in its week 47, I invite you to participate. Excellent work! She's so realistic! Thanks so much for sharing it with us. I found your post because @soulkanzart featured you in the Pay it Forward Curation contest. Keep up the great work!